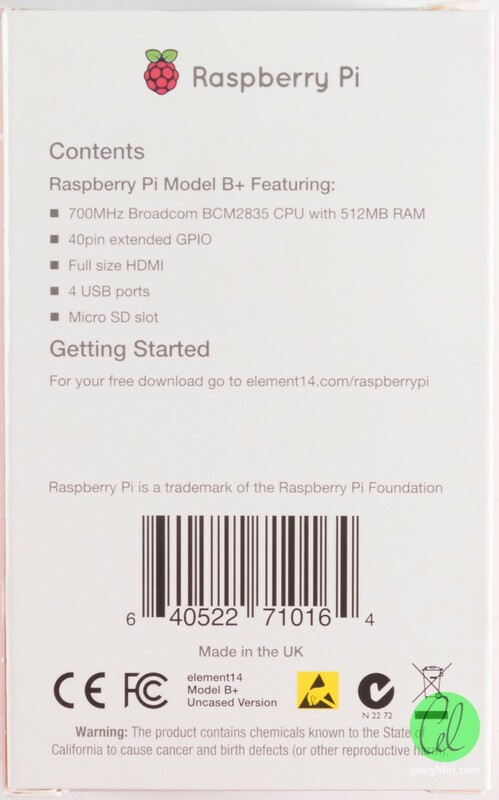 Having been kept busy with many side projects of mine, I was rather caught unaware when, on 14th July 2014, the Raspberry Pi foundation announced their latest and greatest iteration of the Raspberry Pi, dubbed the Raspberry Pi Model B+. By the end of the month, people would begin receiving these boards, as they replaced the original Model B for consumers. Thanks to element14, I have been able to get my hands on the Model B+ for a special assignment (more on that in the future). While I am by no means an “early” adopter (they’ve been around for a little), while I have it in my hands, it would be an ideal opportunity to give you a tour and comparison between the original Model B, and the “new and improved” Model B+. 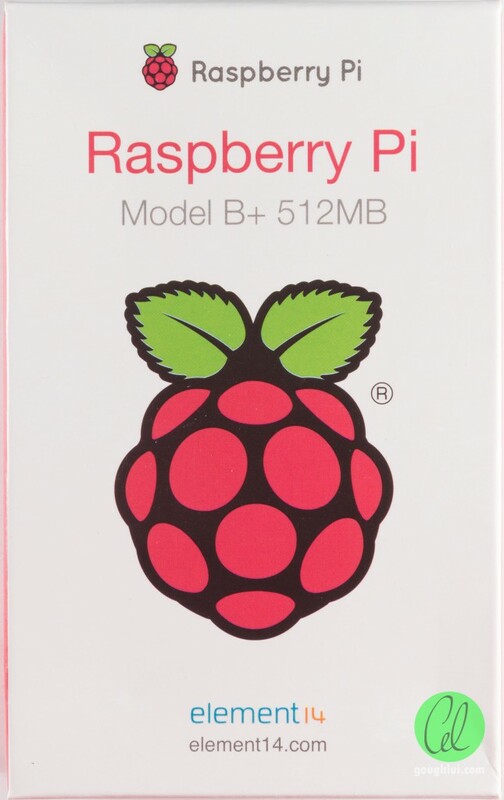 As soon as you receive your Model B+, you will see that the box is much livelier – adorned by full colour print of the Raspberry logo we are so familiar with. The rear of the box has a simple summary of the features. It is still proudly made in the UK, so nothing has changed here. Even the sides of the box get a nice lick of colour, and the top has a branding logo on it. It’s pretty classy! I like it. 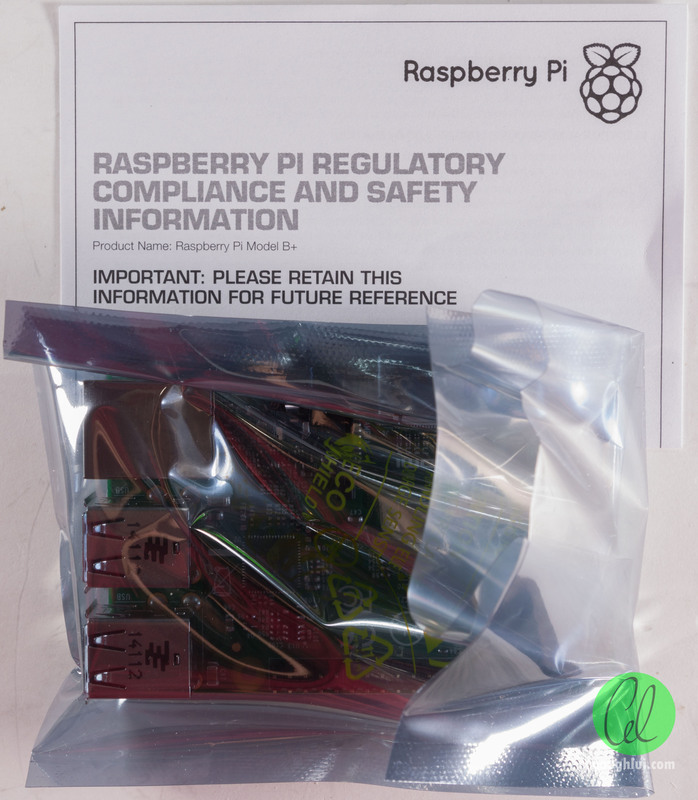 Much the same as before, you get your Raspberry Pi board in an anti-static shielding bag with a regulatory information leaflet. If you want to compare, this is what the old Model B packaging used to look like. I think it’s a marked improvement here which reflects the maturing ecosystem which they have built. But I suppose the engineers are really only interested in the “meat”. I’ve taken the care to try and provide some very clear images, but in order to most effectively show the differences between the old Model B, and the new Model B+, I have had to present the images as smaller thumbnails so they fit side by side. Please click for larger, very detailed images. In the following section, the old Model B is on the left with the new Model B+ on the right. Please note that the PCB footprint is approximately the same size, and the differences are due to image scaling. So, here we are, the meat. What are the similarities and differences we can already identify from looking at the top? Both Model B and Model B+ share the same SoC and RAM, making them binary compatible. This is good news if you already use microSD cards with your Model B as they can be plopped straight into a Model B+ to take advantage of the added functionality. 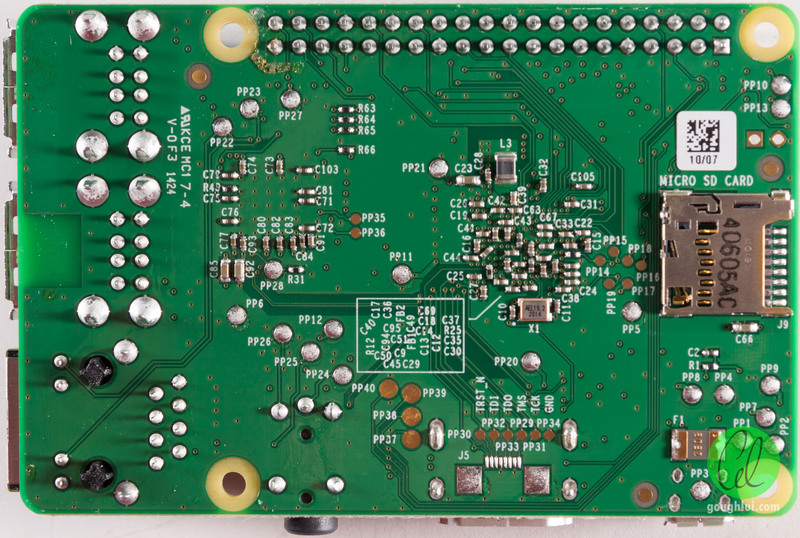 The GPIO connector has been expanded to a total of 40 pins (from 26). The first 26 pins are identically allocated so most existing expansion boards remain compatible. 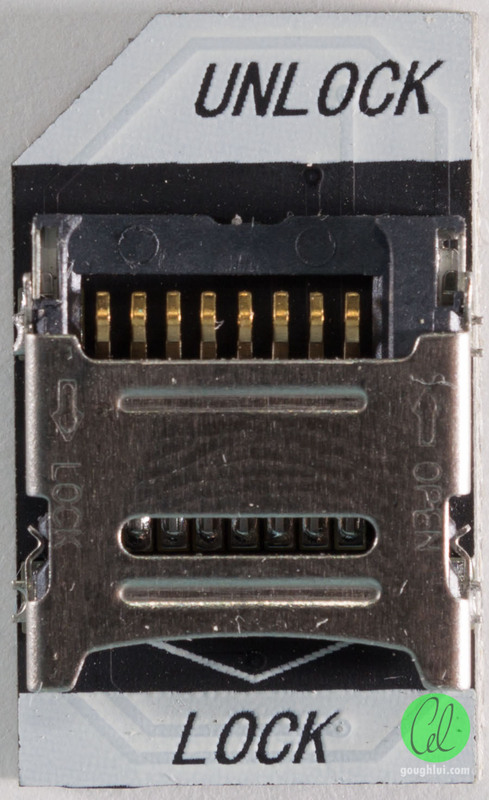 The P5 connector underneath the GPIO connector is no longer present. 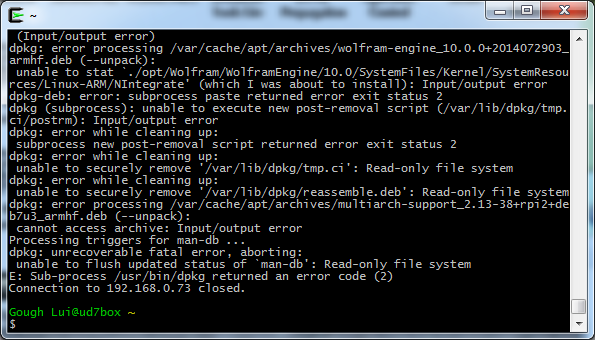 This is likely to cause issues for those looking to use the Wolfson Audio Card without some modifications. Proper mounting holes are now supplied. Older boards which relied on the previous mounting holes for support (e.g. Xtrinsic-Sense) will find the one directly below the GPIO corresponds to where the HDMI text of the new B+ is, and thus can “stand” on the PCB surface without endangering any components. 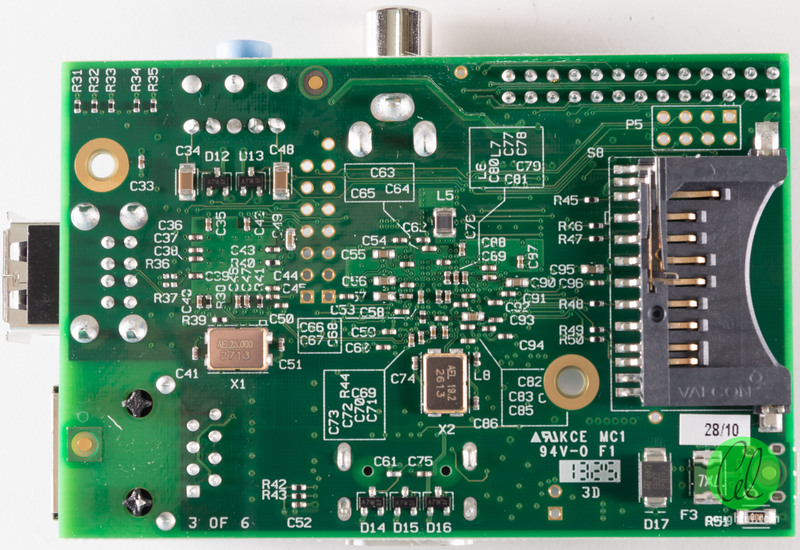 Unfortunately, it seems the pins of the Xtrinsic-Sense board get in the way of the HDMI port, so if you use that, you might just desolder the pins for the Freedom Board to get around it. 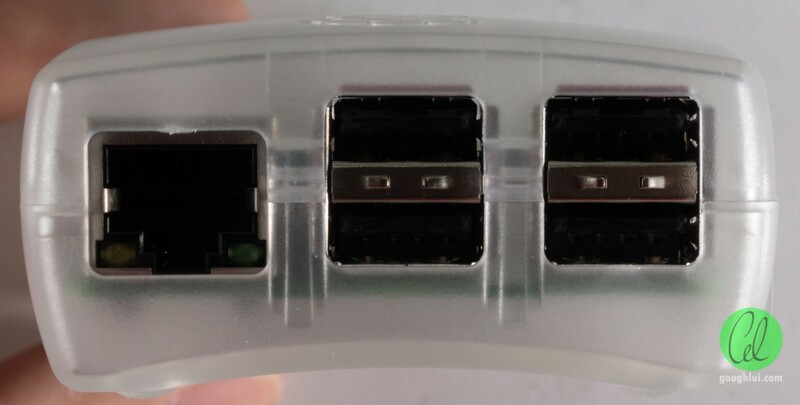 It seems like the additional USB ports and “moving” the ports to fit within the footprint means that the PiFace Control and Display and the PiFace Digital both will not mount properly onto the Model B+ as their PCBs have been designed very neatly to fit with cut-outs based on the old Model B. Users of these add-ons might need to use some sort of extension cable, or await new versions (possibly). However, the NXP Explore-NFC appears to still physically fit due to the increased Z-height of the board. JTAG connections for the LAN/USB Hub and Videocore do not seem be broken out into SIL pin points. Likewise, former test points TP1, TP2 commonly used for voltage troubleshooting are no longer present. Reset jumper position has moved from near the HDMI port to near the GPIO port. The number of USB ports is increased to four, and the power circuitry has been updated to involve software soft-start and overcurrent detection (to improve hot-plugging performance). As a result, the SMSC LAN9512 has been changed for a SMSC LAN9514. Camera and Display Serial Interfaces and the HDMI port remain in similar positions. 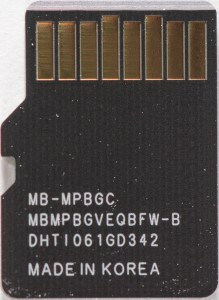 The microUSB B power connector is now along the bottom edge of the board. The Power and Activity LEDs are now relocated near Pin 1 of the GPIO port, and the Ethernet Link and Activity have been relocated to the Ethernet jack itself, freeing up some PCB space. The power supply stage for the board has been revamped, with the linear regulator removed and replaced with higher efficiency switching regulators (hence the inductors). It seems that the bulk power electrolytic capacitor (often snapped off by accident) is no longer present in the new design. Not directly visible is a change to the audio stage power management which improves the audio quality. 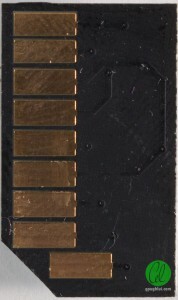 The Model B+ PCB has rounded corners and has removed the composite connector which protrudes from the body. The composite signal is still available via the 3.5mm jack, which is now a 4-conductor TRRS jack. This is quite a few changes. 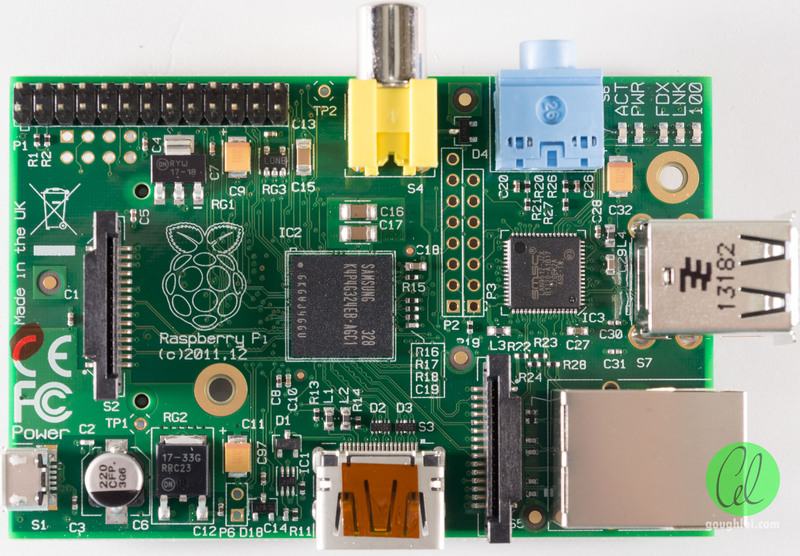 In particular, the changes to the power supply circuitry reduce the power usage of the Raspberry Pi itself, thus allowing more current to be drawn by the USB devices. It seems the polyfuse limit is around 2A, but with this arrangement, it should be possible to power even one bus-powered hard drive from the Raspberry Pi (where it was impossible before). One potential drawback to switching converters is RF/voltage noise, which may affect radio-related projects. At the moment, I haven’t got anything that can objectively quantify this, but it’s something which may be relevant to some users. Unfortunately, it means that users with full size SD cards won’t be able to migrate them directly to the B+, and new users should be careful to purchase microSD cards. A keen eye would also spot something different, the Polyfuse appears to be up-rated to allow for up to 2A current to allow for more USB peripherals. It also seems that one crystal oscillator has been somehow removed, and possibly some clock-sharing arrangement has been discovered. The underside is covered with many test-pads marked with PP designations, which should delight hardware hackers. The PCB seems to be dated Week 24 of 2014. Careful looking near the left-top mounting hole shows some burnt flux residue, and along the board near the tinned PP test points, there is evidence of some cracked flux residue. This is merely cosmetic, but it probably illustrates the “early” nature of this board. The bottom side of the PCB once housed only the HDMI port. 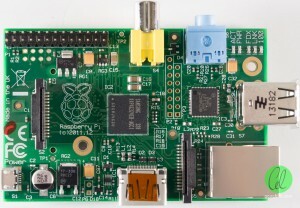 On the B+, it is home to (from left to right) the power input, HDMI, audio and composite video combination jack. 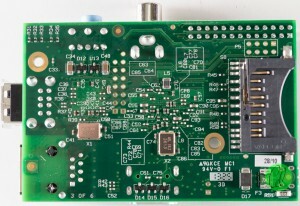 The right side of the board is fairly similar, the change in the Ethernet jack to one incorporating indicators is visible, as is the doubling of available USB ports which should reduce the need for hubs when running low-powered devices. 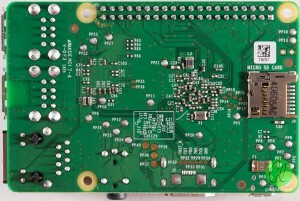 The top side was formerly busy with audio, composite video, and GPIO. 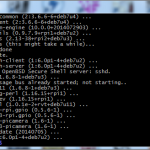 Now it is solely populated for GPIO use. 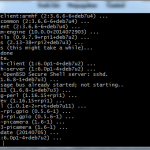 Of note is the reservation of pins for detection purposes. It is planned that “hats” (analogous to shields for Arduino, capes for Beaglebone) will use these pins to identify themselves and automate their setup. Finally, on the left side of the board, the power has been relocated away, but the storage still remains, just replaced by microSD instead of SD. The first thing you do with a new toy, aside from drooling over it and taking photos of it, is to give it a bit of a run. Needless to say, in the end, it seems like the B+ is very much a “refined” model of the B, and I had no problems with joining the 1Ghz club, as with most of my later B’s (only one of about eight of mine couldn’t surpass 950Mhz). … and I could never get the thing set up. Setting up remotely via SSH, it bailed out once I decided to run a sudo apt-get update followed by sudo apt-get upgrade. 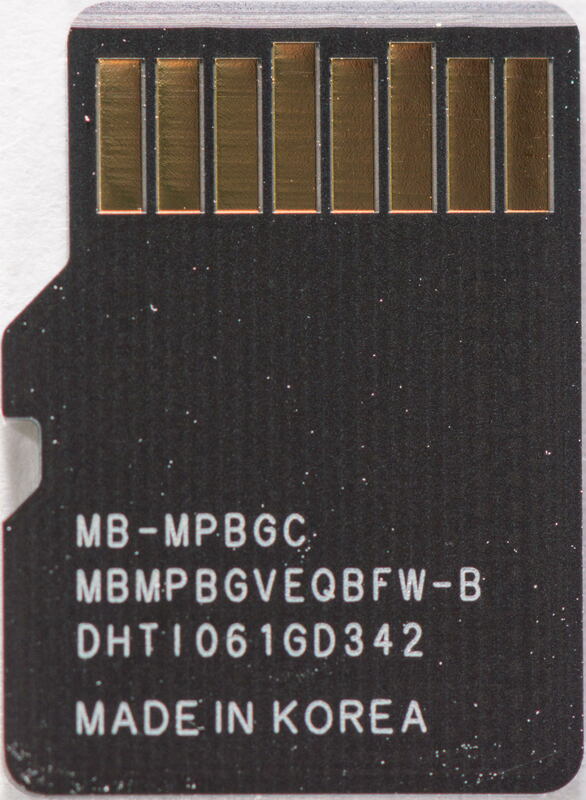 It seems like a classic symptom of problems accessing the microSD card. I tried re-imaging with no success. I cleaned the contacts as well, just in case. To make sure it’s not my fault, using the same Ethernet connection, same card, same image, same power supply with a Model B, the card worked just fine slipped into a microSD to SD adapter. I can only conclude that for some unusual reason, be it trace-routing or marginally weak-drive output from the microSD card, the Samsung Plus has problems with the Raspberry Pi Model B+, but not the Model B. 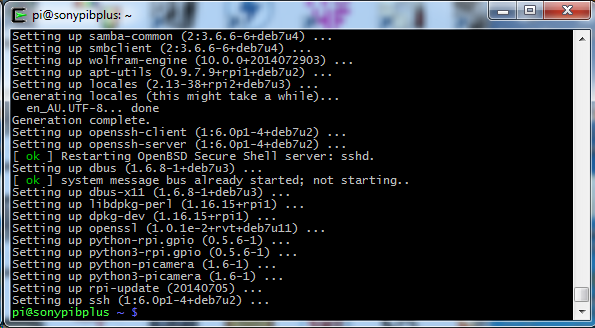 If you encounter such messages, try using another SD card. 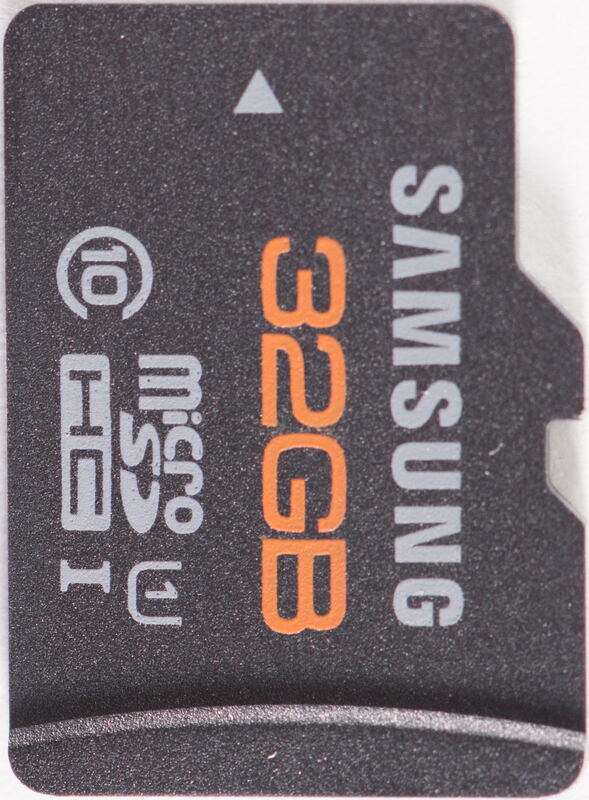 UPDATE: Don’t go with the Samsung Evo 32Gb microSDHC either – it has the same issues and is the Samsung Plus card in new clothes. Only having a limited number of SD cards available, I was able to confirm that setting up was successful using Sandisk Extreme 32Gb microSDHC, Sandisk Ultra 32Gb microSDHC and Sony 32Gb microSDHC. 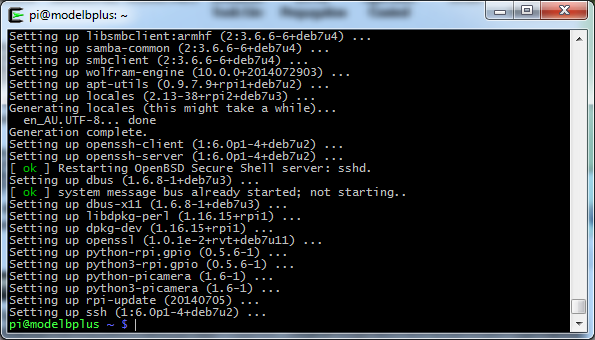 It seems the compatibility issue is the exception rather than the rule. Despite all the changes made, a bare PCB will always be vulnerable to a can of coke, or a flying scrap of wire. 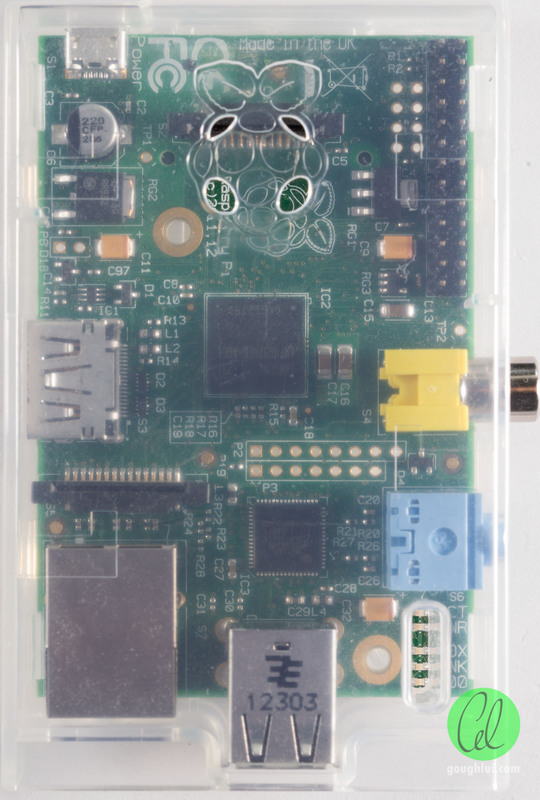 Consequently, I recommend most Raspberry Pi users to purchase a case, as it’s a form of cheap insurance. 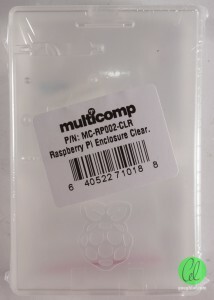 Needless to say, element14 have again stepped up to the plate with a Multicomp branded case for the Raspberry Pi Model B+ retailing at around AU$10. At the moment, it is available in clear and black colours – I opted for the clear. It comes shrink wrapped, with some goodies inside. While it’s not evident from the photo above, the case itself is frosted in appearance, rather than really clear. The case comes apart in two halves, and inside, there is adhesive rubber feet (some assembly required) and two small screws for mounting the camera onto the case. The mount-holes can be seen on the underside of the top piece. Unlike the former Multicomp case for Raspberry Pi Model B, this case has been made with expansion in mind. Cutouts are provided for threading through flexible flat ribbon for camera, display and touch screen sensors, and a mounting is provided for a camera module. One change is that the top cover is no longer vented through the Raspberry logo as before. Fitting the board is also slightly different. In the previous case, the clips at the edge engage the board and hold it in place. In this case, you have to first hook the board under the two edges at the top, and then align the two bottom mounting holes with the plastic tangs. Pressing straight down on the board engages the clips. Job done! 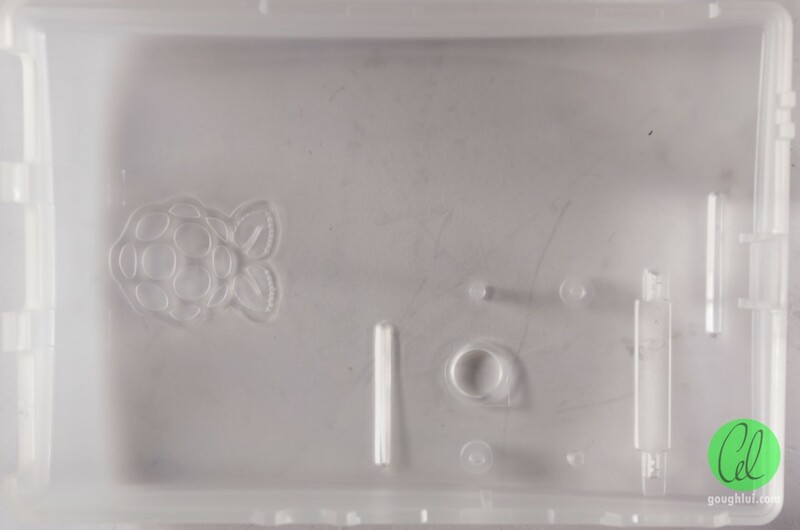 The frosted appearance is most evident when placed side by side with the previous Multicomp clear case for Raspberry Pi Model B. The frosting makes it a little harder to admire the Pi within, but it does look a lot more aesthetically attractive. The flat photos also don’t do justice to the case, because it’s got curves! Woo! It’s got a curve the other way too! 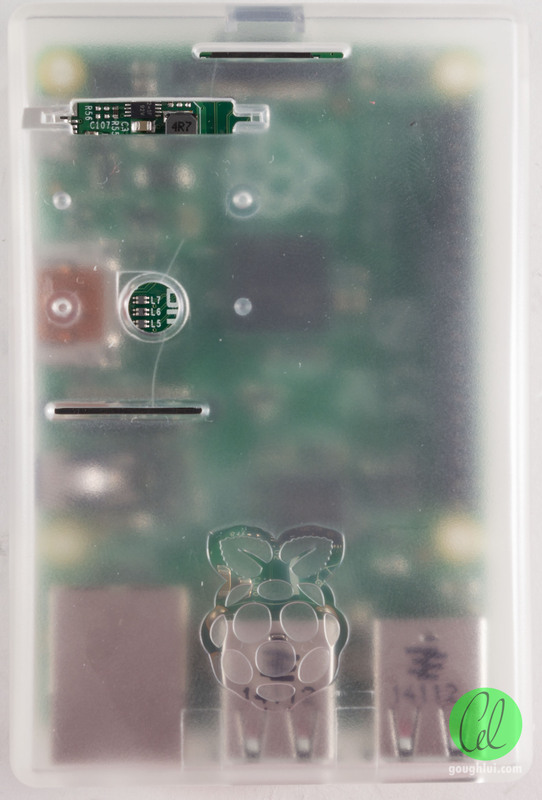 There is even a nice provision of a cut-out along the seam which allows you to sneak out cables you have connected to the GPIO pins out of the side of the case. The 40-pin arrangement makes it ideal for recycling old IDE 40-conductor ribbons to break out the connections, as long as they are the cables that came before the keying pin. 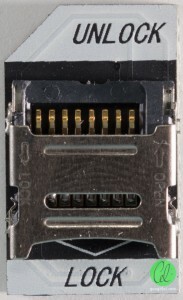 However, users of individual single wire jumper cables will find their connectors may be a bit tall, and due to the curved nature of the case, the cover will not close with the cables in place. Unfortunately, it’s a common issue with certain sorts of cases. 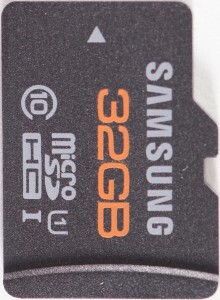 Easy access to the microSD card is provided, as well as two cut-out holes for clear viewing of the power and activity indicator LEDs. When the card is installed, it sits just slightly recessed from the surface of the case – no risk of accidental dislodgement! 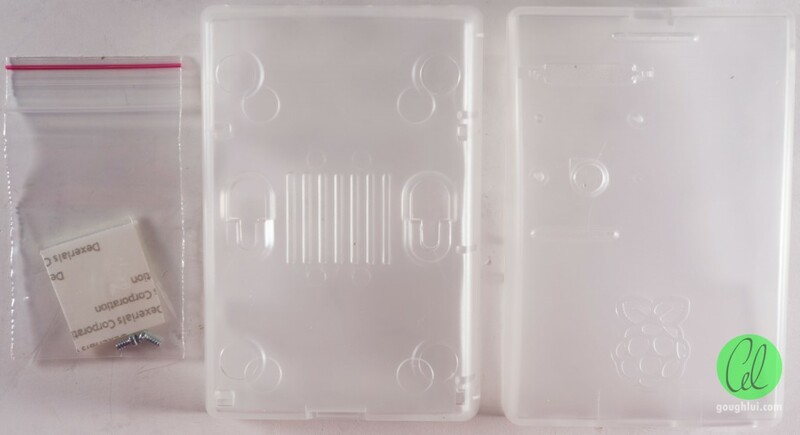 The underside seems to retain a similar vented design to the original Multicomp case for Model B, along with the two wall-screw mounting holes. In all, I think it’s a pretty good effort for the price, and I like how they have tried to incorporate expansions into the design of the case which improves the scenarios in which the case would be ideal. Even with the top off, for use as a sturdy base (as I often did with the old case), it’s a low-cost no-fuss solution. 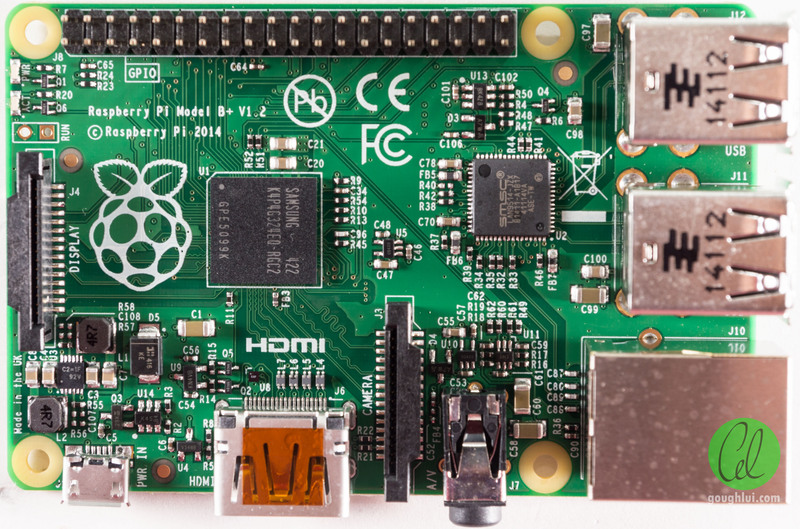 The Raspberry Pi Foundation have done a good job of refining the Raspberry Pi without rendering the existing work of many developers irrelevant. By keeping the same SoC and memory arrangements, they are able to offer binary compatibility, while extending the GPIO and USB possibilities. The most amazing thing is that they went one step further, and improved the power consumption without sacrificing the footprint or increasing the price. It makes sense that all new hobbyists should use the B+, as it’s mostly an all-win situation. Of course, in order to launch a product, you do need the support of the other products in the ecosystem. 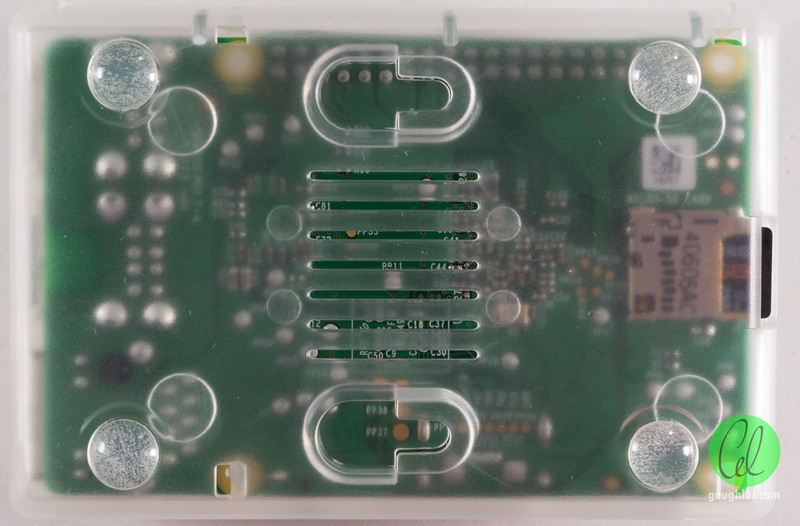 For the most part, existing expansions are compatible, by virtue of retaining the GPIO pin ordering for the first 26 pins, however, physical accessories such as cases require a redesign. 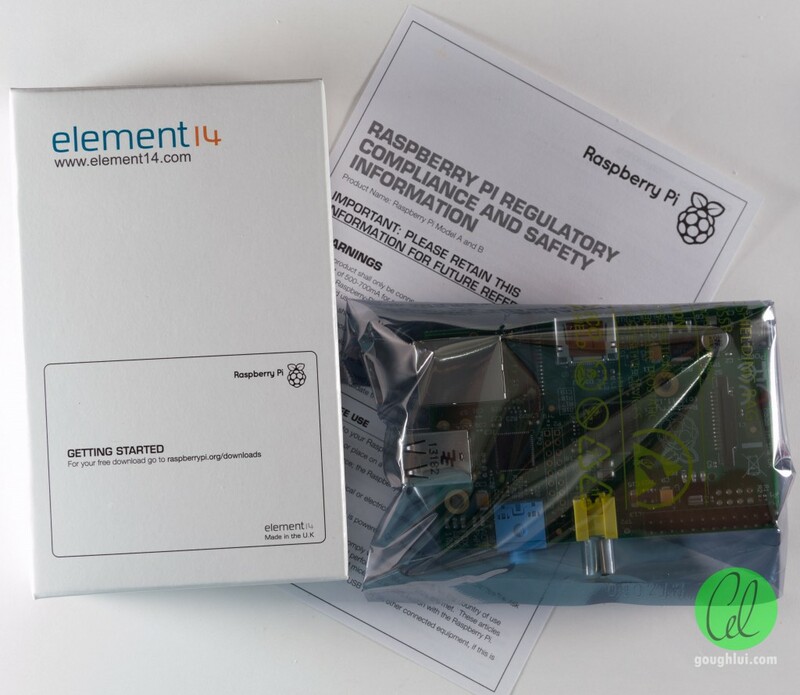 element14 have again made an affordable case available, which is probably their most flexible low-cost case ever. I think it’s well worth the investment. This entry was posted in Computing, Electronics, Raspberry Pi and tagged element14, new stuff, raspberry pi, review. Bookmark the permalink.